This tac tool field set is perfect for anyone that loves the great outdoors! 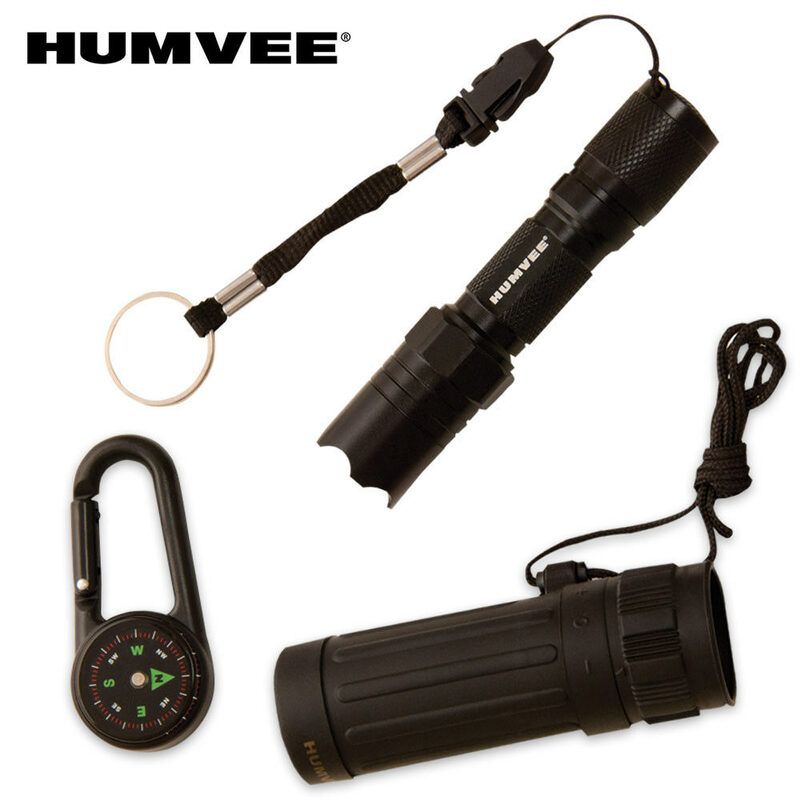 This set includes a tactical 1/2 watt LED light that is ultra bright and powered by 1-AA battery. The LED light also includes a detachable lanyard. This set also features a liquid filled compass with a carabineer and an 8 x 21 monocular with a rubber armor coating for an easy and comfortable grip. The monocular features twist focusing and includes a lanyard and holster.